Mill Cottage, our luxury self-catering holiday cottage for two, is located in the heart of Eglingham. This pretty Northumbrian village is approximately six miles from and midway between Alnwick, with its famous castle and gardens, and Wooler, the gateway to the Cheviots and Northumberland National Park. Within Eglingham village, The Tankerville Arms is a true local, serving good food just a few steps from our cottage, plus there are numerous other country pubs and restaurants within a short drive. 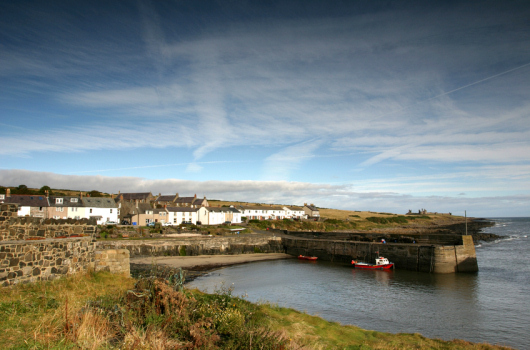 The Northumberland Heritage Coast, an Area of Outstanding Natural Beauty, offers unparalleled beaches at Alnmouth, Bamburgh, Dunstanburgh and Warkworth, all within a twenty- to thirty-minute drive. This historic county also possesses England's finest collection of historic castles, all within easy reach by car. Use the controls to zoom in and out. You can move the map by clicking and dragging it with your mouse. The accuracy of the marker will increase as you zoom in. Zoom in fully for best accuracy. Satellite and Street View are both available. 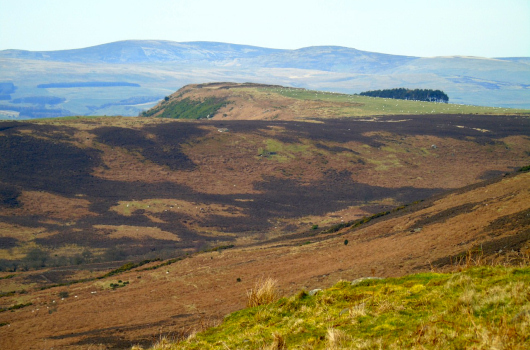 Wonderful walking (including guided walks), sporting and sightseeing opportunities. Many walks and rides are accessible directly from our holiday cottage without the need to drive. Houses and gardens open to the public, such as Alnwick Castle and Alnwick Garden, Cragside House, Chillingham Castle, Howick Hall, Wallington Hall, and many more. Superb coastal and inland golf courses, including Bamburgh, Foxton, Bamburgh, Goswick and The Hirsel. Commercial shooting and fishing estates. Eglingham is easily accessible from the A1 and the A697 and is only 20 minutes by taxi from the main East Coast rail service at Alnmouth. Journey times by train between Alnmouth and London, Newcastle and Edinburgh are respectively just over three hours, thirty minutes and one hour. Please refer to our information section for more details and travel directions.